Let’s face it, patio furniture can be expensive. The easiest solution is do-it-yourself patio furniture that’s made even better by it serving more than one purpose. 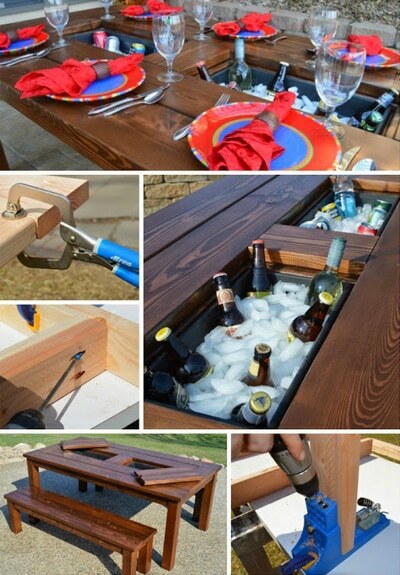 This patio table with a built-in cooler project can be complete in a single weekend. It’s nice and practical addition that everyone in the family can appreciate, and it’s perfect for entertaining.